Sometimes you just want to get into a sticky situation rather than get out of it. This is definitely the case with the new Show Me the Honey slot game from Saucify. Jumba Bet Casino brings us a special promotional offer for the game launch. Help the bees get their honey with 70 free spins on Show Me the Honey. Simply make a deposit of at least $30, and enter the HONEY coupon code when doing so. Enjoy this large number of free spins while you check out the new slot game. Since it appears that free spins are not enough, Jumba Bet Casino added in a match deposit bonus offer. After taking advantage of the free spins, get a match deposit bonus. Enjoy a 220% match deposit bonus up to a maximum amount of $1,000. Use this great special offer on up to three deposits. Redeem the huge match deposit bonus with the HONEY220 coupon code. Play the new Show Me the Honey slot on five reels, and three rows, and 40 pay lines. Symbols on the reels include flowers, beehives, bees, and the higher number playing card symbols, which are shaped like honeycomb. The wild bee symbol substitutes for all symbols other than the two scatters. There is also a random wild symbol that changes a random symbol into a wild for one round. New players at Jumba Bet Casino benefit from some excellent Welcome Offers. 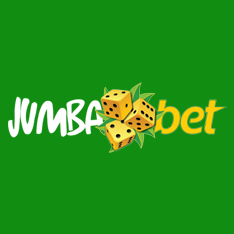 Sign up now, and enjoy match deposit bonuses and free money to kick start your Jumba Bet experience. Start with a 200% match deposit bonus offer up to a total of $600 when making your first deposit. Redeem this bonus with the JB200 coupon code. In addition to the first match deposit bonus, enjoy an extra $50 free with the JUMBA50 coupon code. Next up is the first of the four bonuses totaling $1,200. First up is the biggest bonus with a 150% match up to a total of $450. Redeem this offer with the JUMBA150 coupon code. There are three more bonus offers. Each one is a 100% match deposit bonus up to a total of $250. Redeem this offer three times with the JUMBA100 coupon code. Last updated by Shannon on March 31, 2019 .